Now serving a 35-year sentence in maximum security at the US Disciplinary Barracks at Fort Leavenworth, Kansas, Chelsea Manning, the former Army intelligence analyst Bradley Manning, gained international notoriety for disclosing hundreds of thousands of incendiary classified documents to WikiLeaks in 2010. 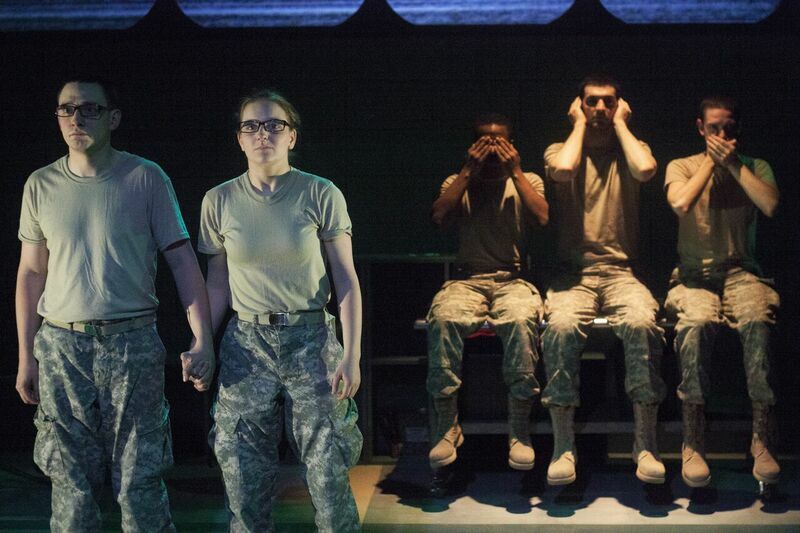 Prior to Manning’s conviction and sentencing in the summer of 2013—the day after which she publicly announced and assumed her transgender identity—Welsh playwright Tim Price examined the controversial subject in his fictionalized bio-play of 2012, THE RADICALISATION OF BRADLEY MANNING, now making its powerful American debut with Inis Nua Theatre Company. [N.B. Because the play was written, and is set, before Manning's public transition to Chelsea, I will hereafter use male pronouns to refer to her]. Considering both the external factors and internal forces that led Manning to become a military whistleblower and a transgender woman, Price’s drama is presented as a nonlinear series of imagined flashbacks. The vignettes span a ten-year period, going back to Manning’s youth in the US and Wales, where, after his parents divorced, the Oklahoma native spent several formative teen years with his Welsh-born mother in her hometown of Havorfordwest. Price smartly suggests that the schooling Manning received in Wales, with its radical emphasis on a national history of rebellion, riots, and protests, helped to inform his future decisions in America. Though punctuated with some much-needed passages of humor (Campbell O’Hare is a delight as the highly intelligent Manning’s inarticulate classmate), the memories of the troubled and tormented protagonist, while incarcerated in the Marine Corps Brig at Quantico, Virginia, take on an increasingly devastating tone under Tom Reing’s intense and impactful direction. 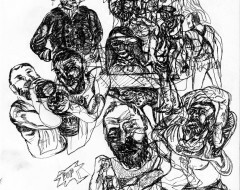 His stellar ensemble of four men (Trevor Fayle, David Glover, David Pica, and Johnny Smith) and two women (O’Hare and Isa St. Clair)–all of whom take turns at playing both Manning and the other characters from different episodes and phases of his life–bring heartrending pathos and desperation to his sad story, as he recalls being abandoned by his ill-tempered unsupportive father, forsaken by his lover, and picked on, bullied, beaten, and subjected to homophobic epithets by those he encountered at every juncture. The irresistible Smith (who appears first and most frequently as the lead) and all of his outstanding cast mates empathetically capture the different facets of Manning’s personality and public personae, while conveying his vulnerability along with the steadfast dedication to honesty and social justice that made him a traitor in the eyes of the American government, but a hero to many in our country and throughout the world (Manning would receive several international accolades, including a nomination for the Nobel Prize). They also give distinct characterizations to Manning’s abusive father (Fayle), teacher (St. Clair), lover (Pica), drill sergeant (Glover), and the other antagonists in his life. Design elements of the compelling production give effective support to the theme, locales, and moods. Costumes by Katherine Fritz fluidly switch from Army fatigues to school uniforms and casual attire with the donning of a jacket or a shirt. 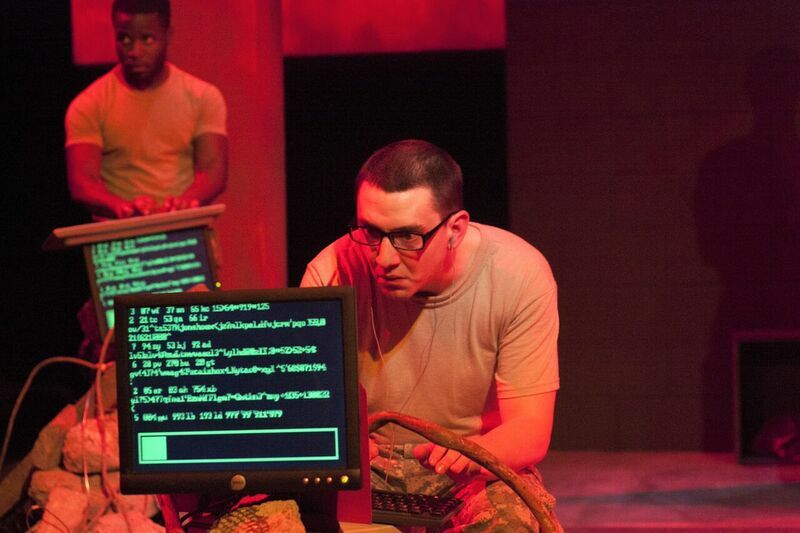 Shon Causer’s lighting adds focus or darkness to accentuate the emotions of the scenes, and Zack McKenna’s sound alternates between the popular music of the period and the ear-shattering sounds of war. The set by Meghan Jones easily transforms from prison to high-school classroom to basic training camp and more with the movement of a few chairs and tables, and Janelle Kaufmann’s video design defines the central issue of the shocking footage and illicit leaking of confidential information for which Manning was found in defiance of America’s Espionage Act and other crimes against the state. As Reing observes in the program’s director’s notes, “It is not a nice story.” But it is one that must be seen and should always be remembered; Inis Nua’s production is important and unforgettable theater that makes a difference. [Proscenium Theatre at The Drake, 1512 Spruce Street; enter on Hicks Street] April 27-May 15, 2016; inisnuatheatre.org.